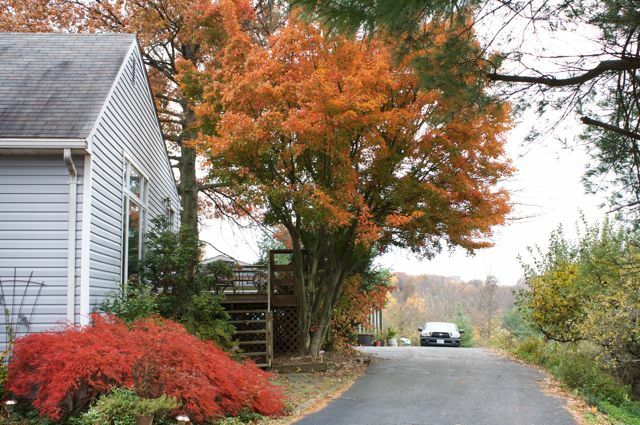 One of the key elements of our property are the two green Japanese Maples that I grew from seedlings. 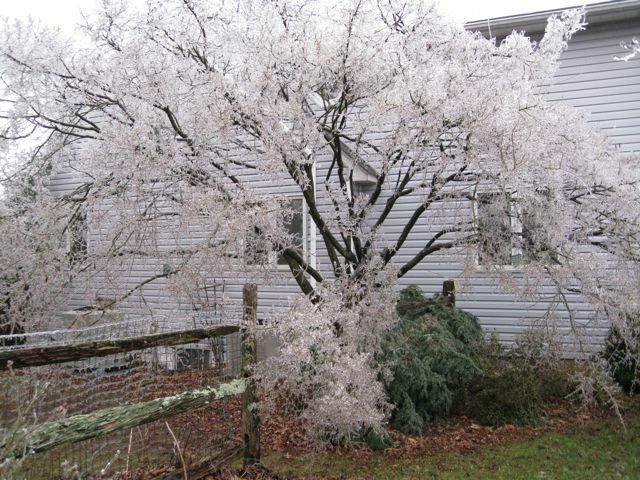 They are now glorious 25 foot tall trees on either side of the house with multi-season interest. 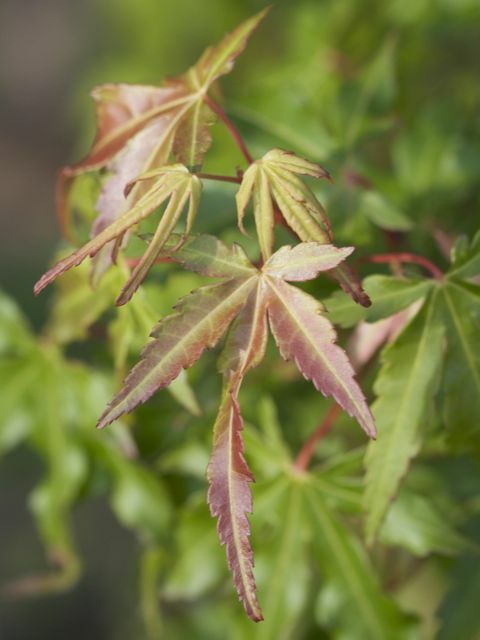 We have many other Japanese Maples but none of the others produce the prodigious crop of seedlings that come from these two trees. For years the kids potted up some of the seedlings and we passed them on to friends. At one point I put some of the potted trees into the garden just to hold them over during periods of limited water and then for overwintering. Well season passed into season and they have gotten quite large. It was getting to the now or never point for these lovely little trees so I dug them out this week (digging is the term since the roots had gone well beyond their pots). 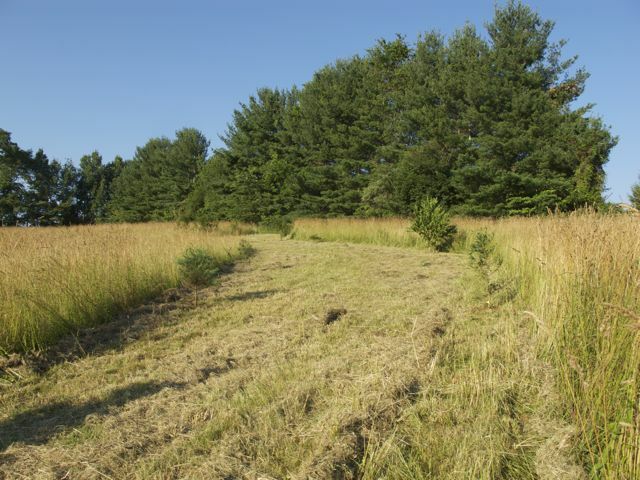 With this many little trees it seemed appropriate to create a little Maple Allee in the lower pasture. 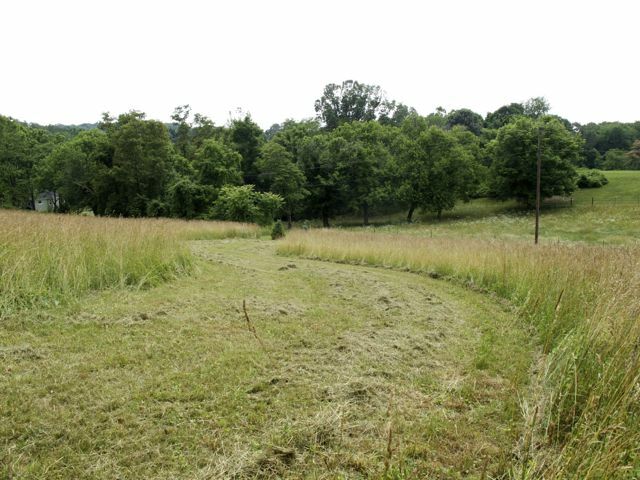 So I took the mower and cut an S-shaped avenue in the high grass with the end point at the two most recent Christmas trees which had been planted at the far side of the pasture. 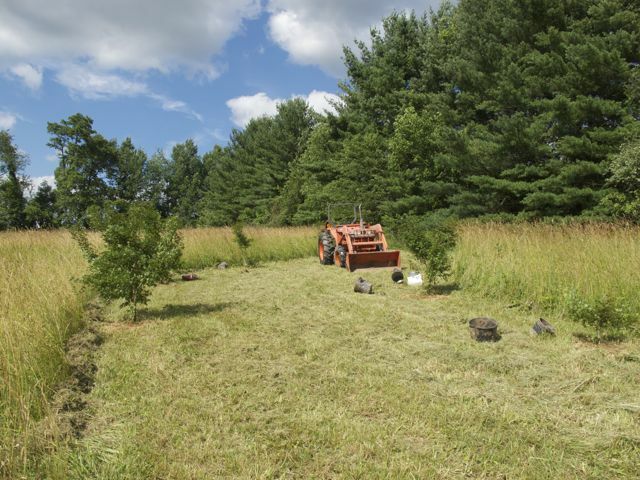 With the help of the tractor I dug holes on either side of the swath and planted the little Maple trees. 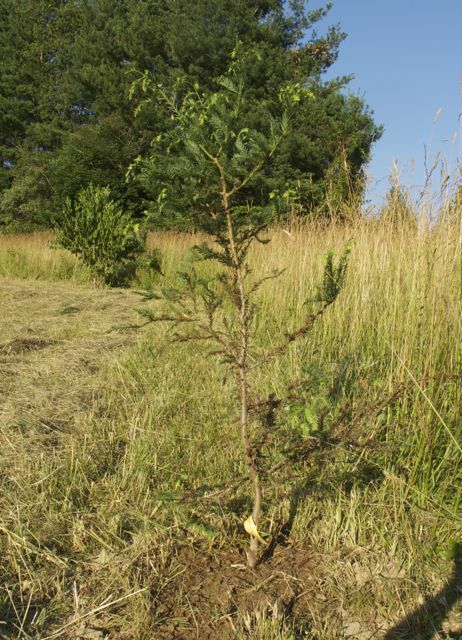 This is a lousy time to be transplanting trees but I decided that the task could not wait for another season. At the mid point of the path I placed an Amur Cherry (Prunus Mackii) that I had grown similarly in the garden (beginning with a tiny internet purchase that was now 6 foot high). However there were still more plants that I had placed (temporarily, several years ago) into the potting row. 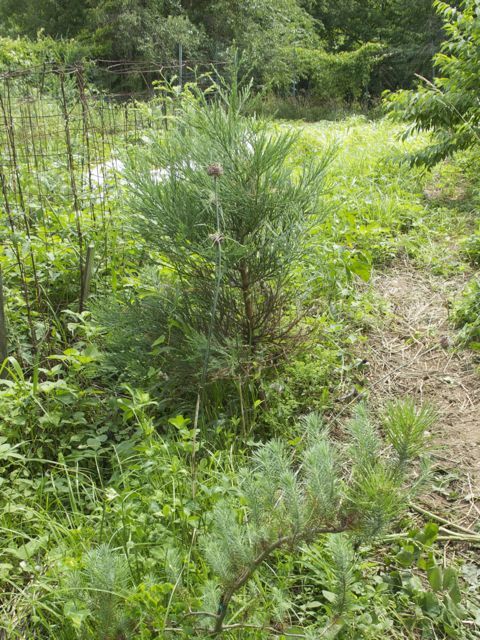 These included two Redwoods, a Twisted White Pine, and an Italian Stone Pine. And so, once again, I began here with a little Sequoia sprout that, after growing in the garden for years, is ready for the millennia. 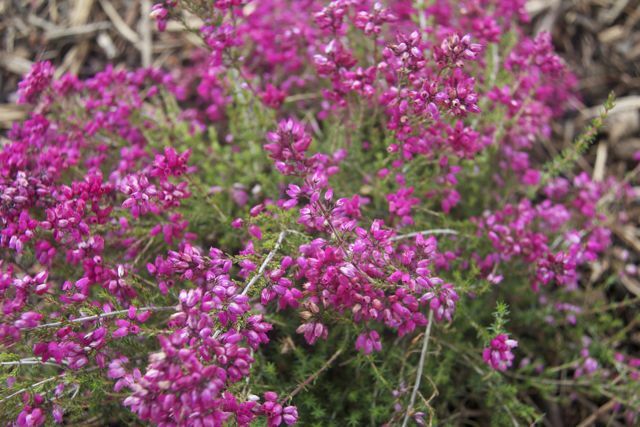 Well, it is Garden Blogger’s Bloom Day again where we are offered the opportunity to share a snapshot of what’s blooming with other bloggers. 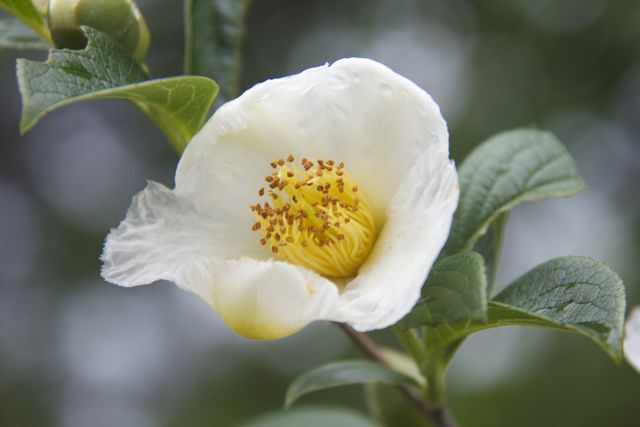 Although there are some splendid displays from the Roses and Lilies right now, it’s hard not to lead with the Japanese Stewartia as shown above. This is the fourth year of flowering this small tree and there are more flowers than ever. They come over an extended period and are well worth a close inspection. 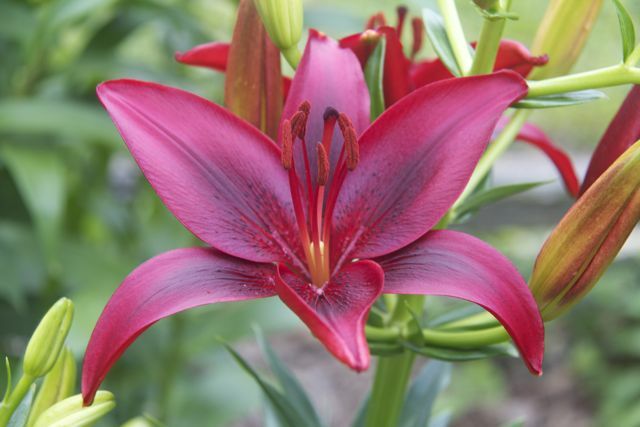 I mentioned lilies and it’s hard not to go anywhere in the yard without seeing lilies in bloom. 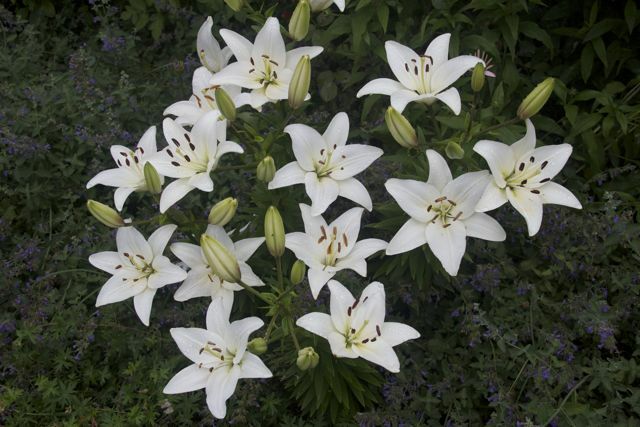 These white asiatics have a wonderful glow in the evening light. 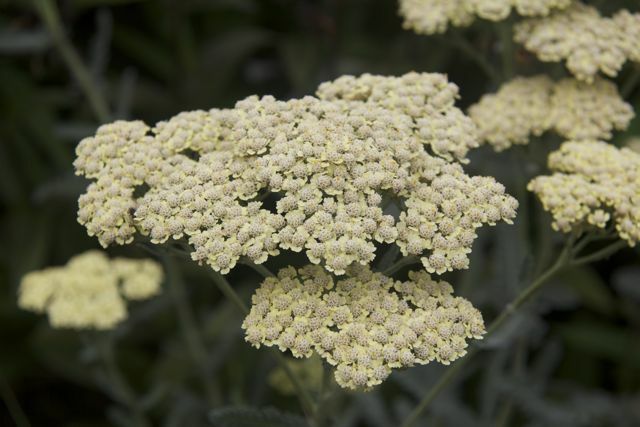 There are also quite a few Yarrow scattered about our various gardens, ranging from white to yellow to red. 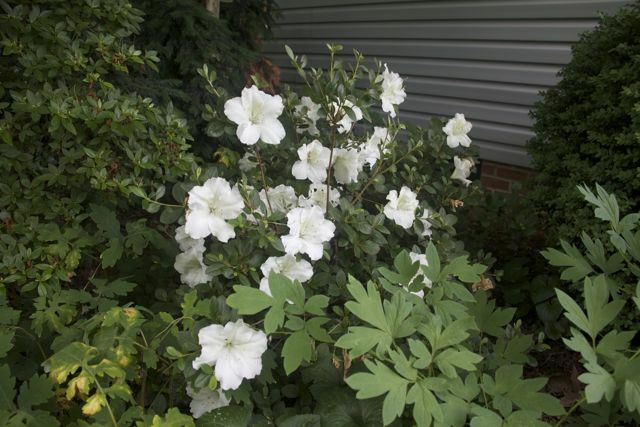 This particular example is cream colored and gives an example of why these are such rewarding perennials. 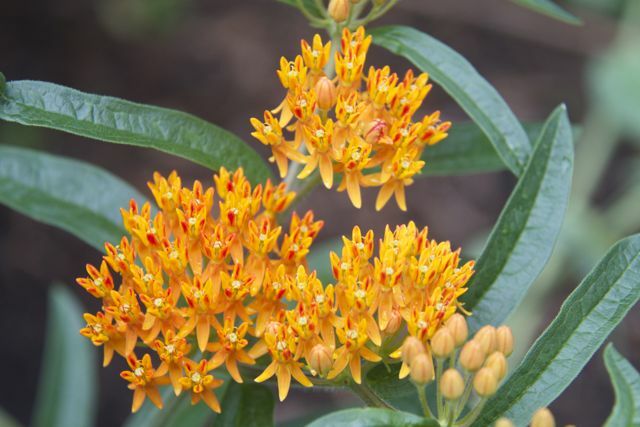 A favorite impact color for me is the orange of the Butterfly Weeds. 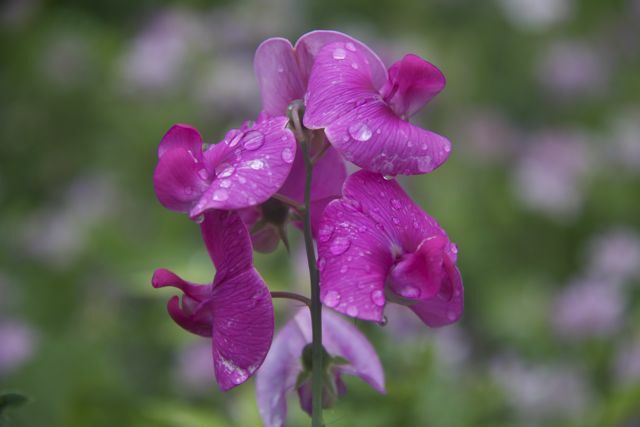 And another arresting color is the found on the Perennial Sweetpea (Lathyrus latifolius). 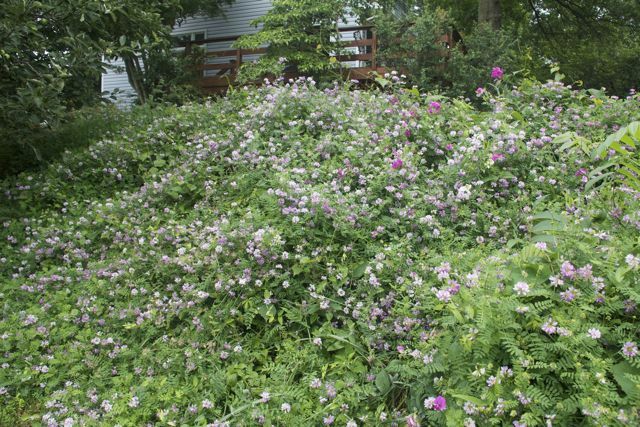 We grow these amidst the extremely aggressive Pennsylvania Crownvetch. 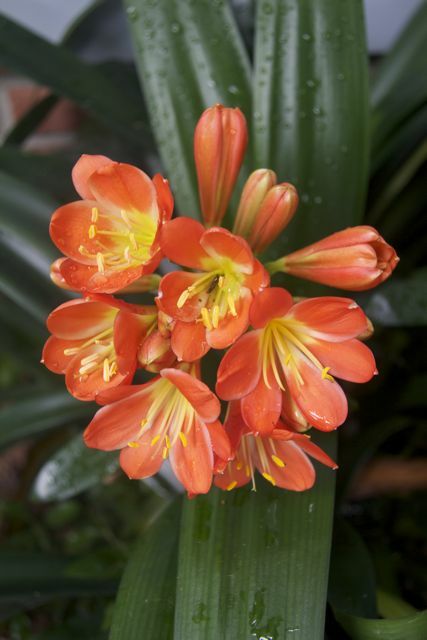 I should also squeeze in a mention of the Clivias that are blooming right now. They live in the basement during the winter but when the weather permits we give them a dose of outdoor living. They usually reward us with another bloom cycle as they are doing right now. I realized this week that the season was moving on for the garlic that I had planted last fall. I could see that some of them were starting to put up buds for flowers so I began to look up when I’m supposed to harvest them (this is our first venture into growing anything beyond elephant garlic). 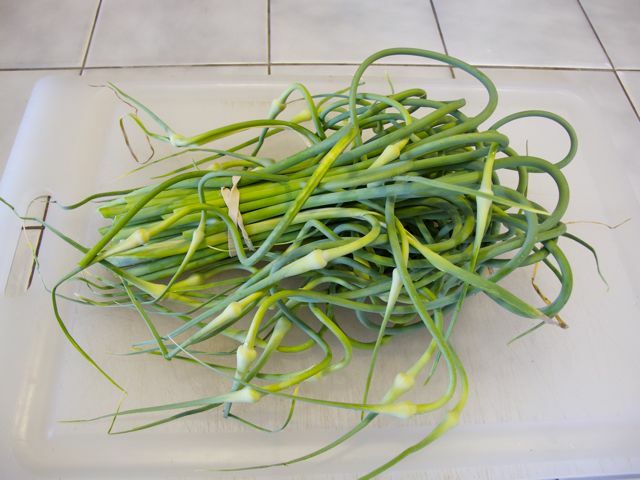 And that’s when I read about garlic scapes. It turns out that culturally one needs to trim off the new buds to allow the plant to put more energy into the bulb (which is the part we normally plan to eat). But for the hardscape garlic (most of our crop is hardscape whereas commercial garlics are the softscape variety) that new growth comes up on a curly green shoot that makes an epicurean delight all in itself. 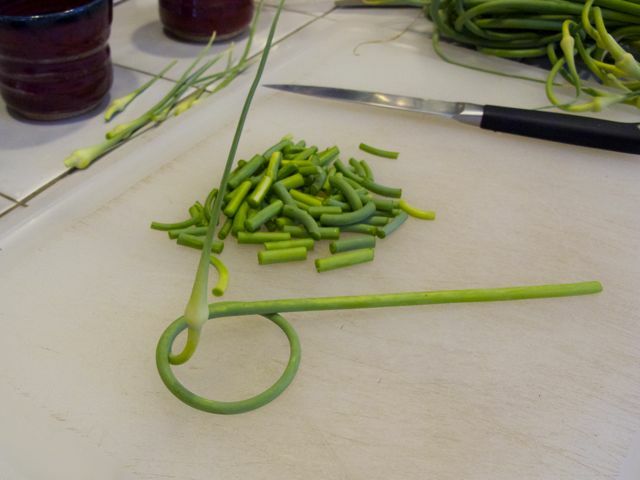 By luck I was able to harvest the scapes at just the right time (when they are still curling and flexible). Recipes abound online for using these cuttings. But far and away the favorite use seems to be pesto. And after our experiment last night I can see why. 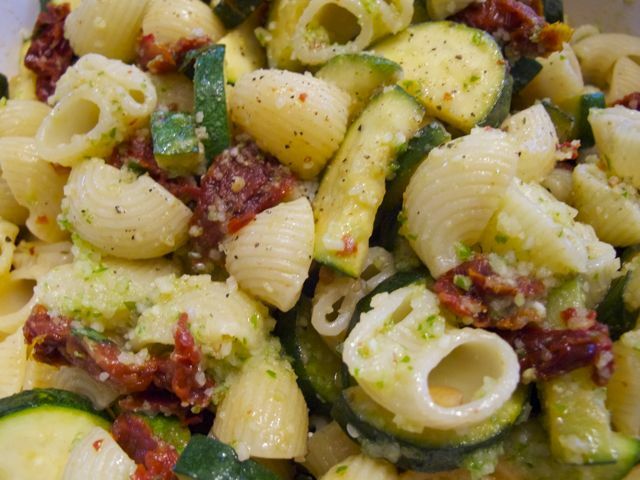 Beth tossed this creamy pesto into a vegetarian pasta dish with sun-dried tomatoes and pine nuts, as well as fresh basil from the garden, and —voila! — we had a delightful eating experience. 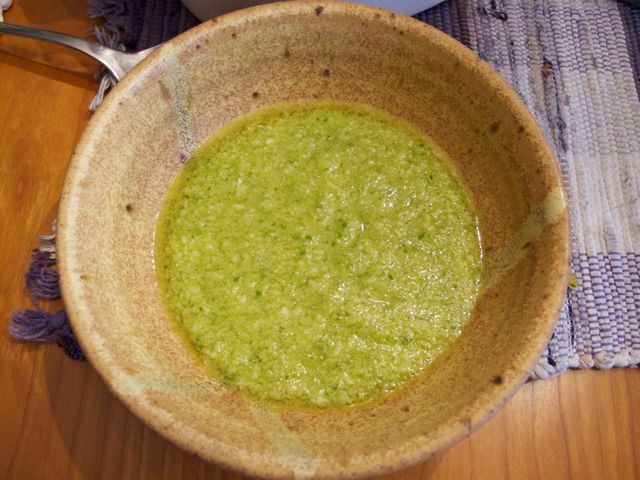 We also spread the pesto directly on toasted sourdough for a very rich and delicious side dish for the meal… Yum! The scapes have a kind of essence of garlic flavor with no sharp bite but a delightful aftertaste. 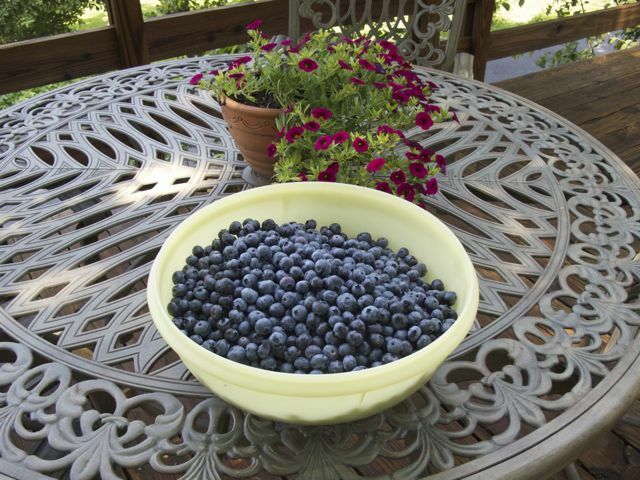 We had also brought in a large bowl of blueberries yesterday morning. 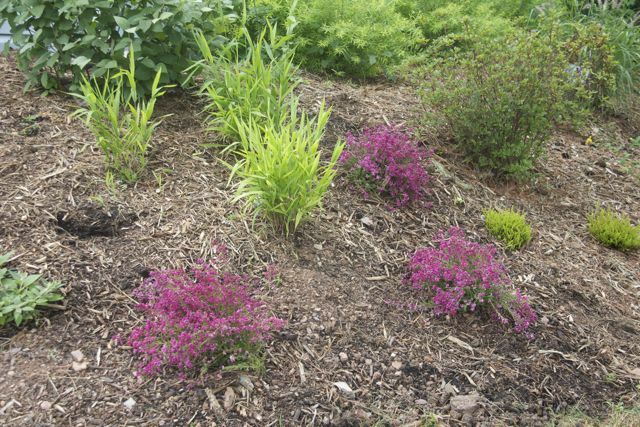 Just to show that we don’t just eat around here, we also planted a nice set of Bell Heathers that Beth found at the local Big Box store. 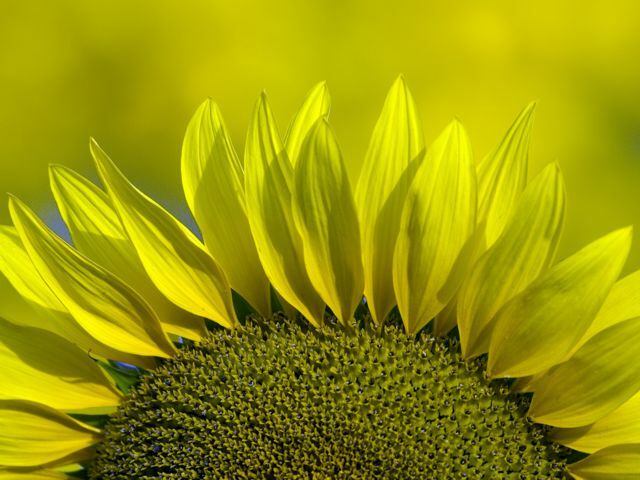 This was a variety, C.D. Eason, that I don’t recall seeing here before. The test will be how they last through summer and winter, but at the moment they look very nice on the garage bank. Well the title of this post might be referring to the news blackout from this site since I’ve been so delinquent in posting, but actually it’s the exceptional lily shown above. This came as a gift from the kids last year and it has rapidly become a highlight in the two garden spots where it’s planted. 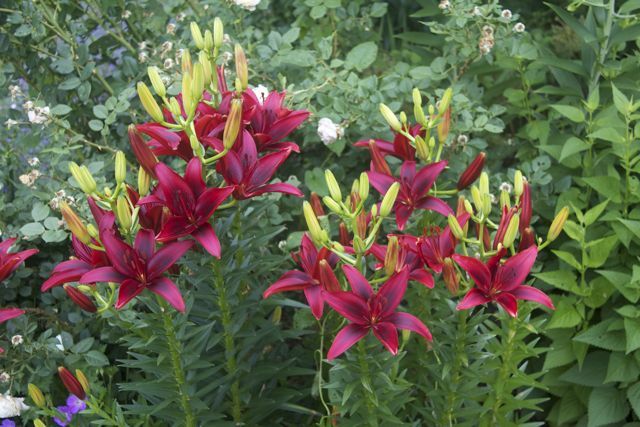 The color just jumps out and the bulbs seem to be spreading fast. My only excuse for not posting more is the way all the plants and weeds insist on growing whenever we take a trip. Just playing catch up has been taking a lot of time. I think that once we get into the harvest mode that’s one more thing that takes a lot of time from the gardening staff (mainly me). This has been such a strange season. 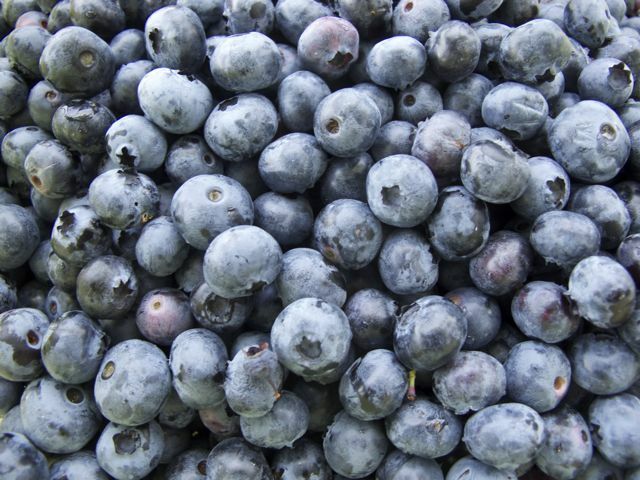 I don’t remember strawberries, cherries, and blueberries all coming in at the same time before. We had a great strawberry crop lasting over 5 weeks and just now coming to an end. The snowpeas and sugar peas have been equally abundant, leading to a heavy concentration of peas in every meal. 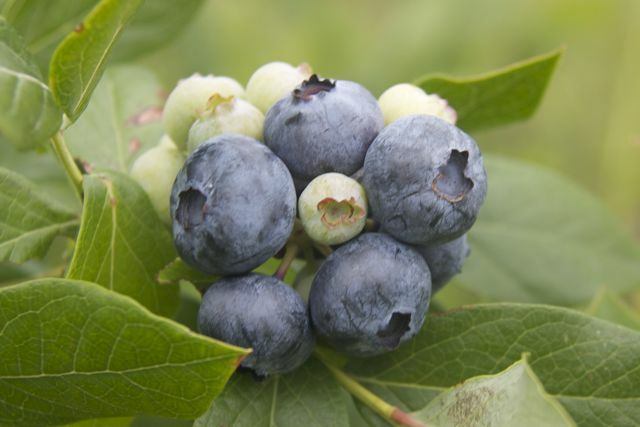 And now the blueberries are doing their thing forcing us to stock up on ice cream and yoghurt. 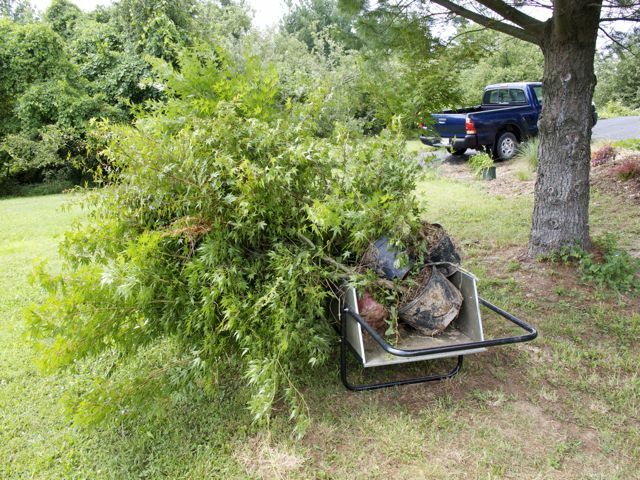 There are so many gardening items that I meant to comment on but which will now have to wait for future consideration. 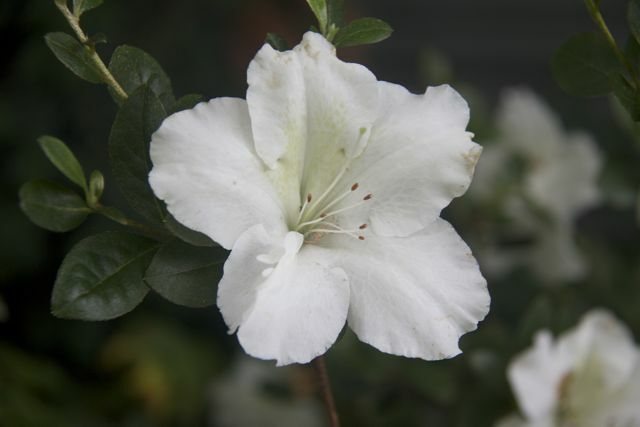 Worth mentioning is that we have somehow acquired a beautiful white azalea which is much, much later than our more common types. 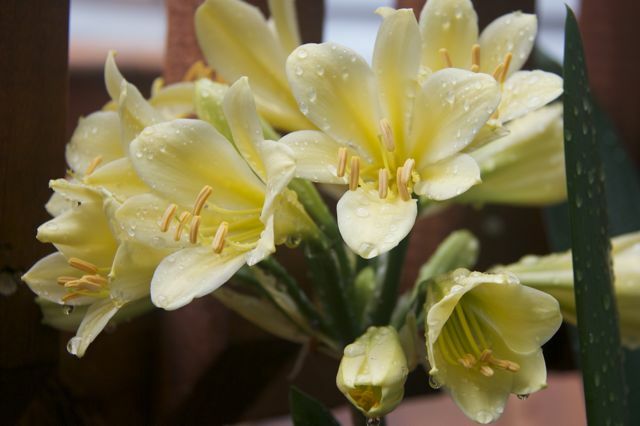 This one has amazingly large flowers, as big as I have seen on an azalea. 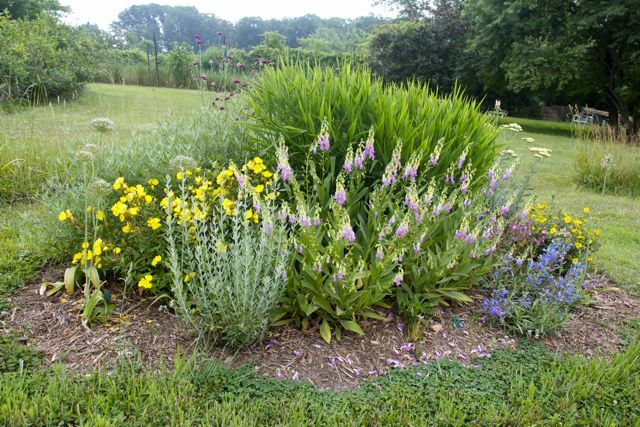 Another planting worthy of note comes from seeds obtained as a part of the American Horticultural Society Seed Exchange last year. 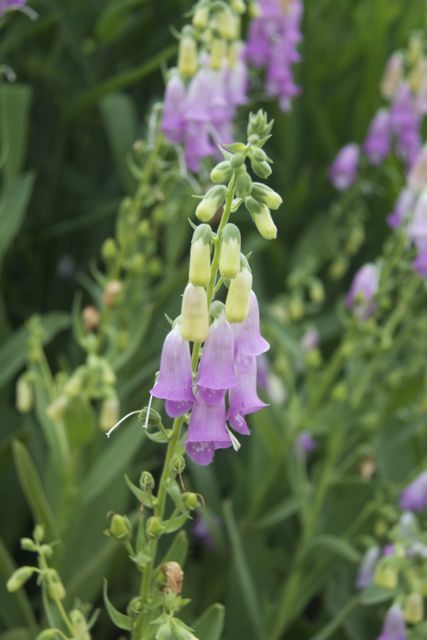 I dutifully planted out the Digitalis thapsi seedlings not knowing quite what to expect. 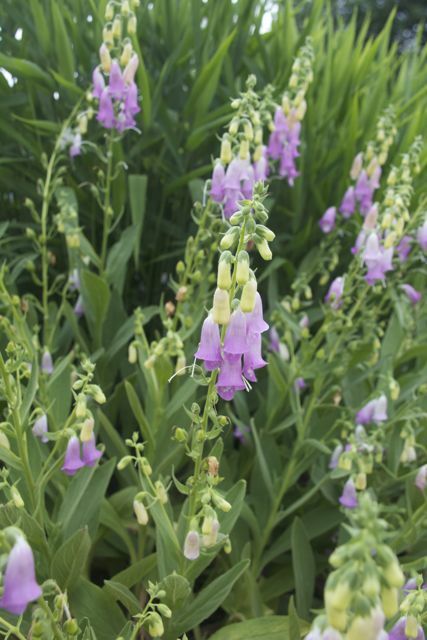 It turns out to be a lovely compact Foxglove which plays well with others in the perennial gardens. To my mind it’s a bit nicer than the larger and more common Foxgloves. Highly recommended! I especially liked this image that I grabbed with my iPhone that shows how the pink flowers and yellow buds combine in the same plant.